Original owner unknown. Engraved later C over I S for John and Susannah (Greenleaf) Coburn. 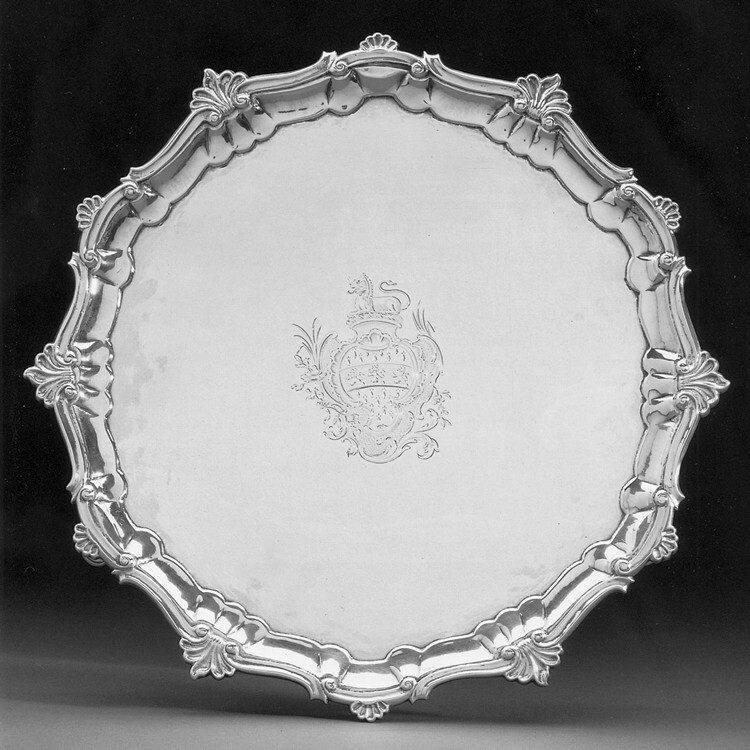 Engraved with Greenleaf famly crest and S G for Susanna Greeleaf. 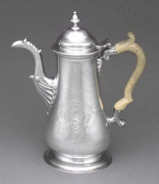 Given to Mary Welles by her father as a wedding present. 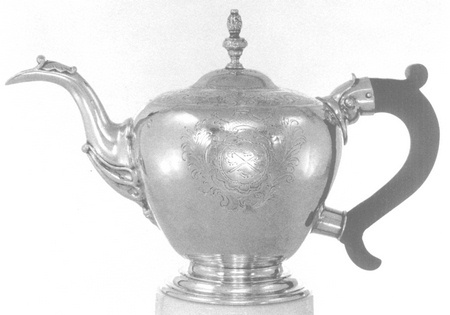 Engraved with the Barrett arms on front and "DH to SB" on the base. 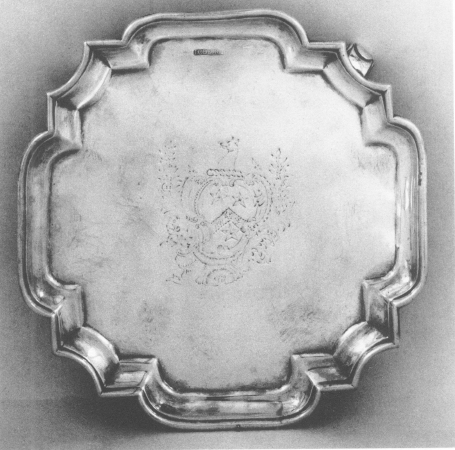 Family tradition records that the salver was the gift of Dorothy Hancock to Sarah (Gerrish) Bennett. 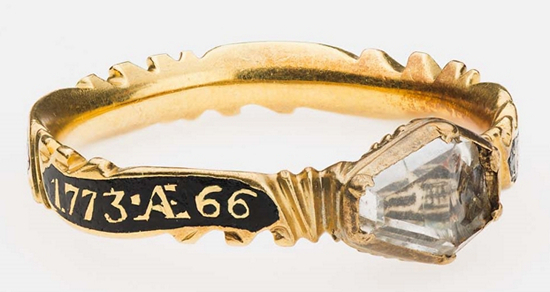 Engraved with the Pickering arms and LP to MP for Love (Rawlings) Pickman and her daughter-in-law, Mary (Tappan) Pickman. Engraved in semi-script and block letters around rim The Gift of the Honble THOMAS HANCOCK ESQR / to the CHURCH in Brattle Street Boston 1764. Scratched on bottom No. 2 wt 26 oz. 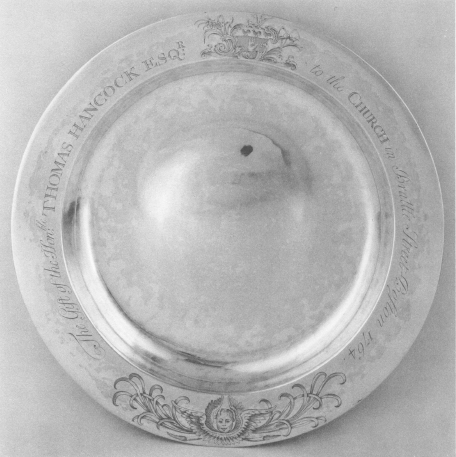 One of three dishes made by John Coburn for this church; of the other two, one is privately owned and one is in the Smithsonian Institution (bequest of Arthur Michael, former collection of E. Alfred Jones). 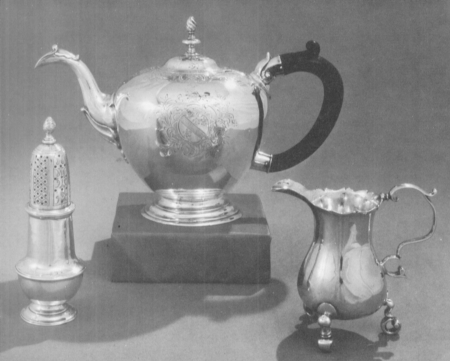 Hancock's will had specified £100 for "two silver Flaggons for the Communion Table," but six dishes were made. 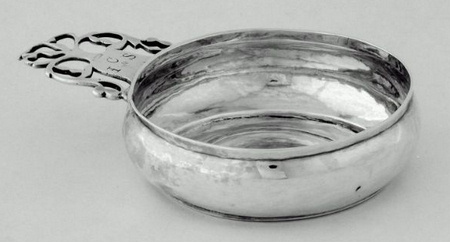 These dishes, often wrongly called alms dishes, are suggested to be for communion by the inscription on the pair owned by the First Parish in Brookline: "Do this in remembrance of me". 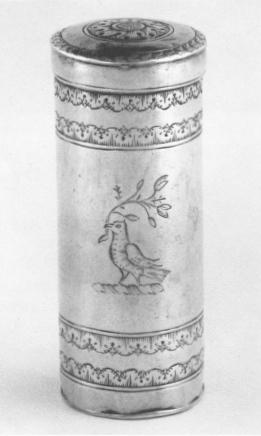 Engraved with the Cabot/Orne arms, the work probably done by Paul Revere. 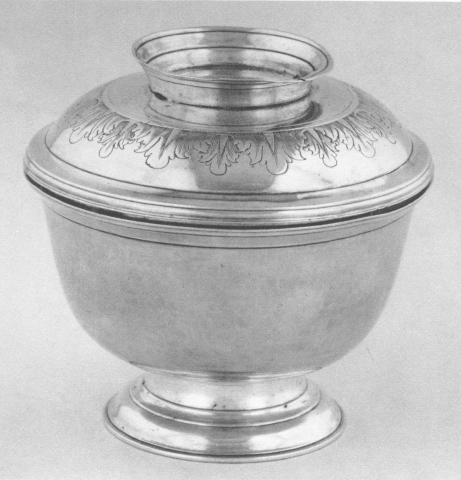 Engraved "HON. B / PICKMAN / OB: 20: AUG / 1773 . Æ 66" for Benjamin Pickman.